MCR Safety has you covered when in need of foot protection. 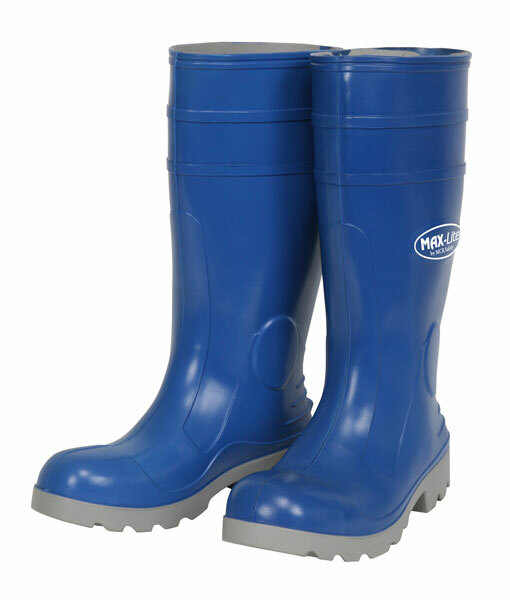 The BGP160 is a blue colored polyurethane over the sock option with a plain toe. It features a cleated sole for grip, polyester lining and has a kick of lug to aid in taking off. The polyurethane material is very light weight and comfortable and features an anti- fungal and anti-bacterial liner. Sizes Available 7-12. Boots, 16 Inch Black PVC with Steel Toe, Cleated Sole and Polyester Liner, over the sock style.